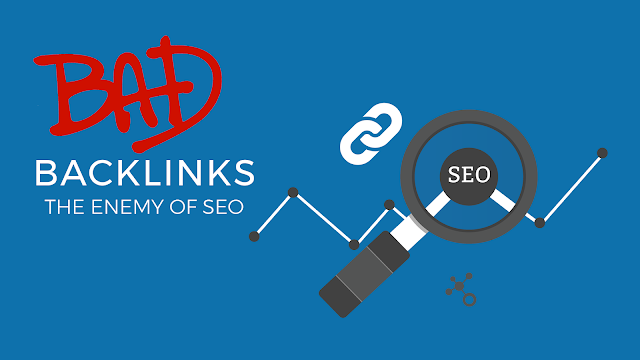 In your SEO journey, you have come to realize that backlinks could be very beneficial for your websites. You have probably put them to use a couple of times and noticed something different about your SERP rank tracker: appealing reports. The benefits of backlinks are endless. Your brand name and exposure can be attributed to them. You have been able to drive steady traffic to your website: again thanks to backlinks. The links have undoubtedly been resourceful in generating leads for you and probably conversions. Not even mentioning the brand authority they have helped you build: something that Google seems to be impressed about. That is one side of the coin. Have you noticed a gradual (if not sudden) drop in your site rankings? Bad backlinks could be the culprit. Bad backlinks may lead you into thinking that you are winning, only for them to stab you in the back after a short while. Bad or spam backlinks could cause you to be penalized. You do not want all the effort you have devoted to building your website go to the drains. Spam backlinks can make your website look bad. Google will view your site as unable to have quality content that has a link of its own. Then Google will take actions against your site that may end up messing your traffic: which is why you should get rid of these types of links. Spam backlinks result from spam or low-quality websites. How do you remove them from your website? The first step to cleaning out bad backlinks is finding the spam. What you do at this point is retrieving all backlink reports and evaluate all the critical metrics that indicate spam. You can employ a backlink monitoring tool that will help you filter the backlinks in categories of trust flow, spam score and so on. From the categories, you will be able to identify the backlinks that are toxic to your website. Have you spotted that particular link that is posing a threat to your site? Now it is time to contact the webmaster of the website that the link originated from. Some tools will help you to get the contact information of the owner of the domain. Reach out and politely ask them to take down the link. Some of the web owners may be a hard nut to crack but do not be surprised. Some may refuse or even try to extract some money from you. In as much as this step may be fruitless, it is simple and also could be of use in the other measures. Downgrading the pages with spam backlinks can help you minimize the impact of the spam links. Remember that accumulation of 404 errors could result to Google getting so many negative messages from your site. If the backlink on your page cannot be removed, consider a hark back to 404/410. It may get to a point where the abundance of spam links is sinking your website. Maybe it is time for you to do away with that page URL. The pages that have overflown with bad backlinks may need the side-tracking treatment or just a fresh start. Creating a new page or URL is also a possible option. Yes, it can be a hassle to come up with a new URL or worse still, having to communicate with your customers of the new URL you have come with. It, however, should be a last resort as you could end up getting rid of the good backlinks too. Last but not least, you could take refuge in Google’s Disavow tool. It is the most effective way of getting rid of toxic backlinks even though it might take some time. With this tool, what you are required to do is get a list of the spam backlinks, head to Google’s Disavow tools, select your domain and follow the steps that will be provided. It is as easy as following the prompts.